Wedding season is upon us! Planning a wedding includes lots of different things. First, there is the venue. You have to pick a place which is just right for your big day. Then there is the dress. You can spend hours in a bridal shop and still not find the perfect dress. When picking a honeymoon destination, we can make it easy for you. A honeymoon campervan trip is a great choice for a honeymoon, especially if you are a couple who love the outdoors. Start your married life doing something unique, adventurous and romantic with VW Campervan hire. You’ll really impress your partner with a honeymoon campervan trip. It is completely different to most peoples honeymoon. You get priceless romantic experiences from a campervan trip. Hiring a campervan is a great way of bringing you and your partner close together. They are spacious, but still offer a cosy, romantic and intimate environment – perfect for all couples, especially newly-weds. A ‘rock & roll’ double-bed and fold out table are the perfect combination for a romantic time. You can impress your partner with some great cooking and enjoy an intimate time together. The vans also have privacy glass and black out windows. Did you know Olympians Laura Trott and Jason Kenny decided to hire a motorhome for their honeymoon? Laura labelled this as a ‘motorhoneymoon’. 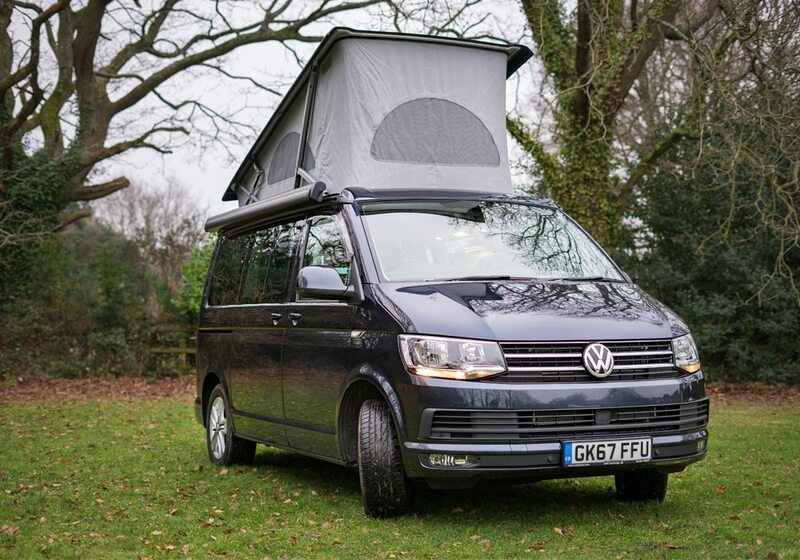 We have 4 great VW Campervans, including DEBS, FOREST, JURASSIC and MALIBU. There are lots of reasons why a honeymoon campervan trip is such a great idea. There is so many romantic spots to visit in the UK. Firstly, you have your pick of some of the most picturesque countries in the world – England, Scotland, Wales and Northern Ireland. These countries have so much countrysides and coasts to explore with your loved one. Travel from the sunny beaches of Devon and Cornwall all the way to the stunning Highlands of Scotland. Or you can just find a spot you like and enjoy hours of company with your partner. 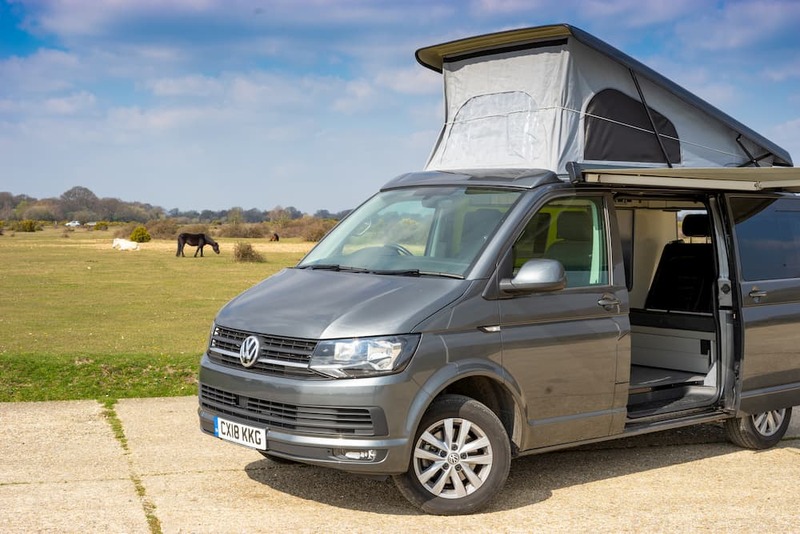 Find out more about the best locations in our guides for Campervan Hire Dorset, Campervan Hire Hampshire and New Forest Campervan Hire. When hiring a VW Campervan, you have the freedom to do whatever you want with your honeymoon. You choose exactly where you go, what to do, and when to do it. You don’t get that kind of freedom with other romantic holidays. Everyday is different if you want it to be. Pack up your campervan with delicious food, drink and luxuries to enjoy wherever you travel with your partner. Stuck for ideas where to camp? Make use of our membership to The Camping and Caravanning Club, offering hirers up to 30% off selected campsites. If you don’t want to stay at a campsite, sleep under the stars at your favourite countryside location with your loved one. Why choose Call Campervan Hire? Do you think the idea of a honeymoon in a VW Campervan is great? What’s even better is that you can hire a van from us from just £69 per day. Our vans are high spec and have some great optional extras too, such as a bike rack, portable barbecue and more. 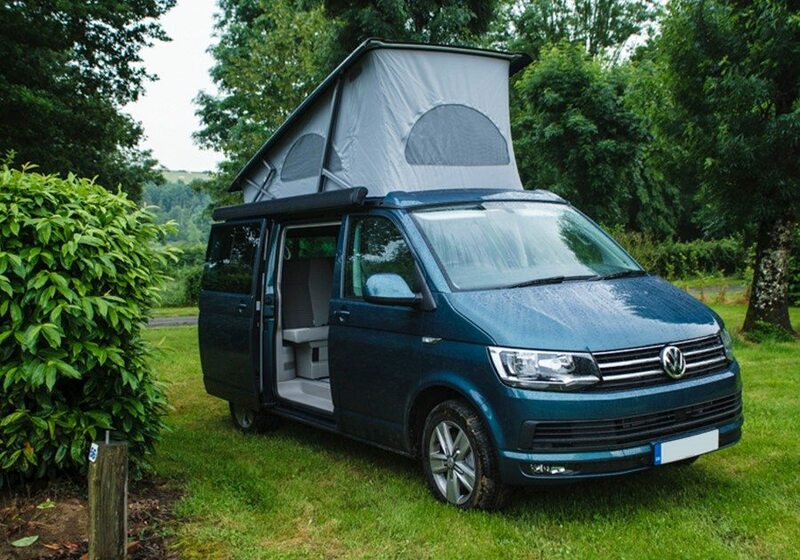 If you are interested in a honeymoon campervan trip, you can check out our fleet of VW Campervans and see which one you like. Please feel free to get in touch and we can help plan your romantic honeymoon.